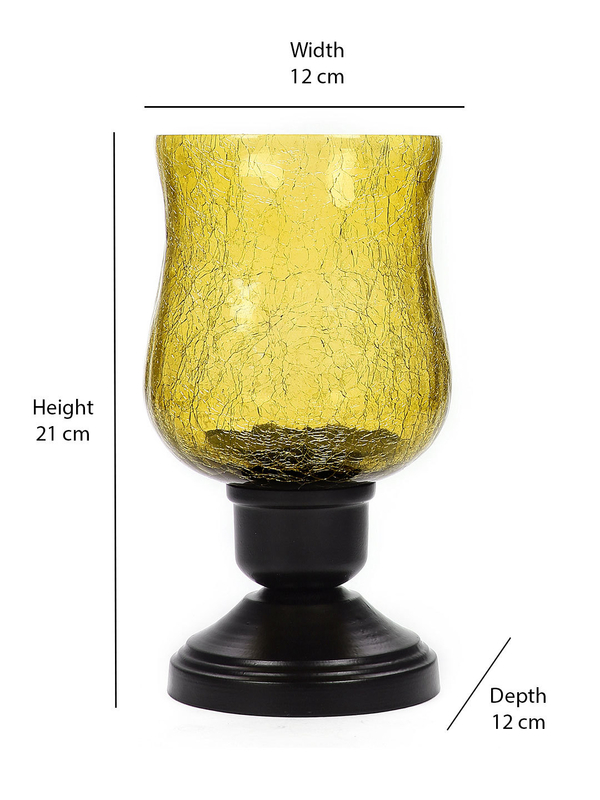 Inspired from the times of royalty, the Radiance Hurricane Candle Holder is an art piece of sheer elegance and grace. The enthralling shade of emerald reflects beautifully on your subtle cream shaded walls. Place it in your hallway or on the flower table, it's sure to complement the thought through interior or your house. May it be a gloomy weekend or a festive evening; the hurricane candle holder is set to serve a range of purposes with its spellbinding appearance and refreshing.